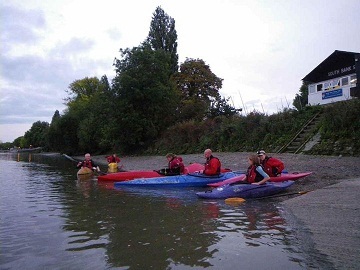 A keyholder must be present in order to gain access to the club container for Thames sessions. Vehicular access to the container, in order to pick up or drop off club kit, before or after a club organised trip, also requires a keyholder to be present. Members may be able to borrow a set of keys from a keyholder when no keyholder is available. 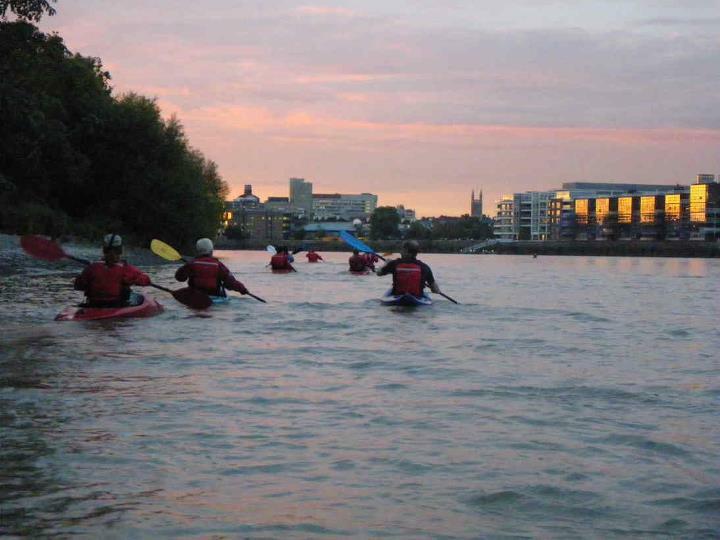 We store most of our kayaks and kit in a secure container behind Barn Elms Boathouse on the River Thames near Putney. by walking up the towpath from The Embankment, Putney,(where the rowing clubs are), until you reach Barn Elms Boathouse. Immediately past the Boathouse is the side gate which gives access to the rear of the buildings. Go through the side gate and go back past the rear of the Boathouse to the container. This side gate is locked so you will need a keyholder present in order to unlock it. via the main Barn Elms Sportsground entrance on Queen Elizabeth Walk, (past the London Wetlands Centre). The main gates are open 7.30 am to about 9pm Mon-Thur and till 7 pm Fri - Sun. You will either need a keyholder present, or borrow a set of keys from a keyholder, in order to get through the locked gate and locked barrier. You must shut and re-lock all gates after you have passed through them, even if you plan to return through them shortly. You must obey all the speed limits and have your hazard lights on whilst driving through the Sportsground. For the regular evening paddles, (post sunset), we meet at The Ashlone Building and walk up the path together for safety and security. There there are now battery operated lights inside the container. When the boathouse is open we are allowed to use the boathouse changing rooms and showers, otherwise we change near the container using towels to cover up!